Raghuram Rajan’s grim announcement yesterday that he is not seeking a reappointment as RBI Governor did not come as a surprise to anyone. 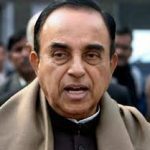 Everyone knew that Subramanian Swamy’s witch-hunt against Rajan for alleged ‘anti-national’ activities was a mere eye-wash. Everyone from NAMO, Arun Jaitley, Jaswant Sinha and Nirmala Sitharaman wanted to see his back for alleged misdemeanors which included calling NAMO a “one-eyed king in the land of the blind” and taunting him for ushering in “Inspector Raj”. The trinity of Jaitley, Sinha and Sitharaman had also made it quite clear that they did not agree with Rajan’s tight leash on interest rates and had vocally complained that it was throttling industrial growth. My guess is that Arun Jaitley must have had a quiet word with Rajan and asked him to put in his papers. When he did not take the hint or refused to do so, Subramanian Swamy was unleashed on him. Rajan made this clear by stating in his ‘resignation’ letter that he was “open to second term” and “consulted” the Government on this. The captains of Industry and the intelligentsia are clearly distraught at the state of affairs. Narayana Murthy, the visionary billionaire founder of Infosys, the blue-chip behemoth, stated that “India was lucky to have Raghuram Rajan as RBI Governor”. He lamented that “He deserves more dignity than what he was treated with”. Mohandas Pai, who had earlier formulated the theory that the “crony capitalists” who are being forced to repay their loans are behind Rajan’s ouster expressed sadness over the episode. Rajan troubled dozen crony capitalists who were being forced to sell their profitable cos to pay back Rs.8 lakh cr loans.Breather for them? One way of looking at #RaghuramRajan story: War on crony capitalism is over. Full normalcy restored. Capitalism lost, cronies won. 3. As I had said some time ago, this government did not deserve Dr Rajan. Nevertheless, India is the loser. Latha Venkatesh and Menaka Doshi of CNBC TV18 expressed “deep disappointment” at Rajan’s ouster and called it “very unfortunate“. No Country For Rajan#RaghuramRajan bye bye letter is clear – the Govt didn't want him to continue. Very unfortunate. Having said that, #RaghuramRajan exit would lead to a perception that crony capitalism has won. This was handled really badly. 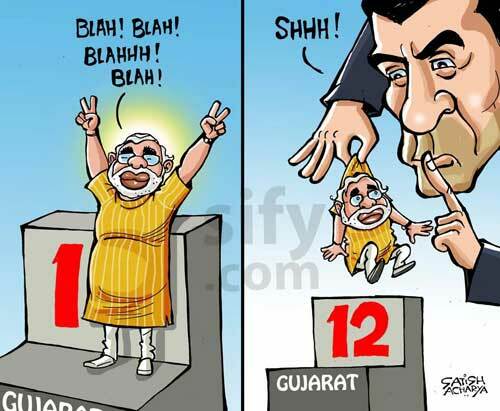 Modi government could have quietly eased out #RaghuramRajan w/ minimum fuss. By turning it into a spectacle it has scored a huge self-goal. Investors also did not take kindly to Rajan’s ouster. 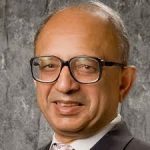 Swaminathan S Anklesaria Aiyar had earlier warned that “100 billion will flow out, stock markets will crash, currency markets will panic and India will be severely bruised” if Rajan is not offered a second term. This appears to have come true because moneycontrol.com reported that “After Swamy’s rant on Rajan, $1.1 bn flew out of Indian debt”. 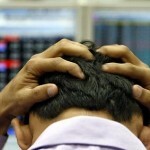 The Financial Times, the prestigious international publication, claimed that Rajan’s departure has “unnerved” investors. It stated that there are big industrial groups who have been hurt by Rajan’s policies on cleaning up the banks, and cleaning up the people who have caused the non-performing assets at the banks. 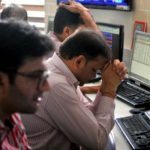 It also warned that “India’s financial markets are expected to be jittery on Monday as investors digest what many will take as a bitter disappointment, especially given other global political and economic turmoil including nervousness surrounding Britain’s referendum this week on EU membership”. Business Standard also opined that “Markets seen weaker on RBI chief Rajan stepping down”. Raghuram Rajan pushed out when he actually wanted to continue. Make no mistake. Rajan is paying the price 4 exposing how promoters use banks 2 recapitalise failed businesses. That is an unforgivable sin. Saurabh Mukherjea of Ambit continued with his doomsday prophecy and lamented that “It (the RBI’s job) is even tougher in our country where you have really little support from the ancillary apparatus; it is a big call for the NDA how much they try to diminish the RBI’s importance”. Meera Sanyal, a former banker and AAP loyalist warned that the “voice of the markets” will wake up the Government. However, some experts are dismissive of the situation. What's the big hue and cry about RGR leaving. Surely several able ppl to fill his shoes. RBI is an institution and not a person.
. @darshanetnow when u do your self review at the end of the year, remember to put that in. Right so #RaghuramRajan hasn't got an extension. Now how many of you are willing to liquidate even 10% of your portfolio basis this news??? So, taking a cue from Porinju, we should also stop lamenting about Rajan’s ouster and start researching top-quality stocks which will benefit from a reduction in interest rate. Also, if there is a knee-jerk tomorrow and the markets slump, we must be prepared to aggressively scoop up our favourite stocks! Rajan’s departure is not a surprise at all. in fact I suspected this will happen about one year back. If chaiwalaas and gowalaas (cow keepers) run the country, professionals like Rajan will run away. And now that his departure is now behind us, if I see the future, I feel the electorate has become too polarised. There are a lot more enemies of BJP now as compared to any party, anytime in post independence history. The direct result of this will be shown in 2019 Lok Sabha elections, where I dont see BJP+allies getting even anywhere near the majority number. So I dont see the next RBI Governor appointed by BJP will remain in his/her post after the new government takes shape. You r doing very good job. Keep it up. Raghu’s stature has increased this way. It looks like nation has got another leader. 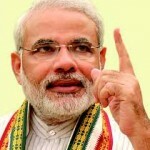 Rajan was after loan defaulters ,so naturaly not liked by this Corrupt Govt ,which clearly shows in which side Chaywala is.So a honest person has paid the price .This Corrupt Govt was never comfortable with this competent person.Modi Chaywala has shown his limited capabilties in line with his old profession.Chayawala or Doodhwala can better serve the nation in their old profession ,so should leave important jobs for ocompetent one like Rajan.This Chaywala Govt don’t desrve Rajan. Rajan’s exit do not confirm that government is corrupt . Though it was a decision that may hurt markets. Rajann’s exit can put questions on decisions making but not on commitment of government towards development . I wish Rajan could return or some one really as good as him should be appointed . It is same chaiwala who is working hard towards, renewable energy, railways, roads, defense, infra development, bringing more taxpayers in net, curbing cash transactions etc etc.. many more to mention . Lets not expect that he is god and remedy for all the ill decision by previous corrupt governments. Being human he can also do mistakes . Moderator should not approve personally biased opinions. It doesnt matter whether appears true or false to individual. Or else your site will become one political sluggfest, there are enough places for it. Delete Kharb’s comment, it’s pure distaste. Moderator, please dont delete kharb’s comment. What he says is abs correct. Let each one be entitled to his/her opinion. Thats democracy. Democracy is not derogatory remarks unrelated to content. In the first place chai or dudhwala is not related to investing in first place. Don’t open the cane of worms for hatreds. This is not a political website, keep terror manual and surrogate names within own hallucination. please check ET News . Government was willing to appoint him for 2nd full term, but Rajan was not available . Lets not be in hurry on making opinions . Chaiwala is destiny’s child . He is soft target for everyone . We were happy with most corrupt governments for decades and now we expect everything needs to be cleaned urgently by our most hated “Chaiwala” . I am pretty sure down the line after 3 more years when he complete his term, most of us will feel guilty for insulting him with “Chaiwala” . No opposition parties or MSM can find any corruption in NDA and our dear kharb finds them corrupt. Shoot and scoot. Can easily guess AAP kisko back kar rahe ho. There is no person called Jaswant Sinha in the government. There was “Jaswant Singh” who has been sidelined; “Yashwant Sinha” who is not part of the government; and”Jayant Sinha” who is a junior minister still elarning the ropes and not a key decision maker. Absolute garbage sentiments by supposed EXPERTS. I will sum this up very very simple. Rakesh Jhunjunwala, whom this site is inspired by, just revealed in an interview that Rajans exit will have no effect whatsoever on the economy, inflation and reserves. He did a good Job and the next governor will do an equally great job. 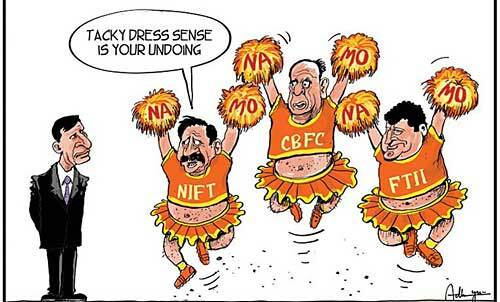 If you want to sell becuase Rajan has chosen to go, then Sell and get lost. Very right and succinct reply 🙂 Thumbs up. RBI Governor’s resignation is nothing but the demise of future of better Indian Economy. This is the forceful fall which could be seen in the near term. It’s difficult to understand that who won the battle. 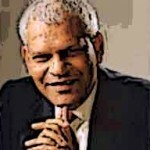 Ruling Party or again Dr. Rajan? I would say man with self respect is still standing tall. Market was expecting him to continue. Its really difficult to say anything and to keep mum as well. Dictionaries are dried with words now. Really nothing has left to say. Rulers want someone who can speak on behalf of them and not one who can take India to some different levels with his research and knowledge.